When you say Go Handmade, you also say quality. 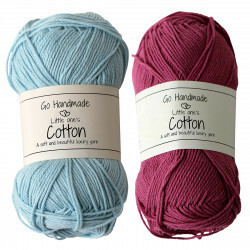 Go Handmade yarn is completely extraordinary. They have thought about every single detail and nothing is left to chance. 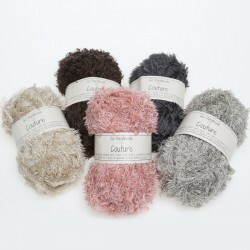 The various yarns are very useful and can be used for many different things. 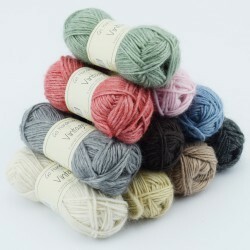 These are nine completely different yarns and all of them are incredibly charming in their own way. All nine yarns are very versatile and can be used for various projects from teddy bears, blankets and security blankets to sweaters. 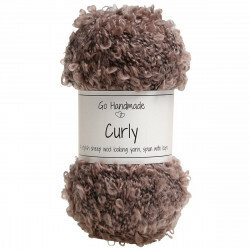 Besides producing amazing yarns, Go Handmade also makes handcraft kits for knitters or crocheters. Thus, there are a lot of different projects for you to start on, and the only thing you need to do is to click the kit into your shopping basket, then you get everything you need. All of the books by Go Handmade contain wonderful patterns for either crocheted or knitted animals. The patterns are created so they are useful for both advanced handicraft workers as well as beginners. So there is definitely something for everyone. The collections, the photographs and the development of the various animals and patterns are all created by the women behind Go Handmade. Thus, you can be sure, they have considered every single detail. 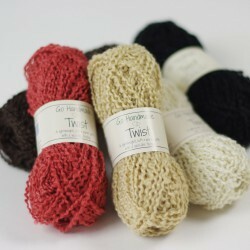 Here at Hobbii, we strive to be some of the best and the fastest at delivering Go Handmade yarn and yarn supplies. Thus, you always receive your goods no later than 3 weekdays after you placed your order online. We take great pride in having a high standard customer service and you can always call us, if you have any questions regarding some of our products. We always provide you with a full refund on goods ordered via our online shop. You are always welcome to contact us, if you have any questions regarding our Go Handmade yarn, or if you need help with ordering. You can contact us via our contact form, and we will answer you as quickly as possible. We are looking forward to welcoming you as a customer. 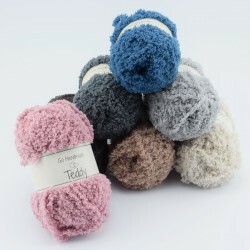 This yarn comes feeling like a teddy bear already, it’s so soft and easy to work with. I wanted to make teddy bears to donate to the children’s hospital and this being 100% polyester and fluffy was perfect (cancer treatment patients have some restrictions on what materials they can have or wear and this meets the criteria). As happy as it makes me to use I hope it will also make them happy to cuddle with. I will definitely have to buy more! I love this yarn! It is everything you could want. Beautiful drape, excellent texture and the sheen makes you believe that it’s a $300 sweater. It’s my new favorite yarn! ❤️ I bought enough for 2 of the deep back with sleeves sweaters. I would like to also mention that the package arrived in less than ten days and I could track it all the way to my mail box. Very happy customer. I"m reviewing this on feel alone as I haven't started my project yet. I have a couple other projects to finish first. This yarn is so soft I can't wait to wear it around my neck. I plan to make the Architexture Shawl with it and as soon as I get a little bit done, I will review it again and let you know what it's like to work with. I have just received my 2nd order and am so happy with the beautiful wool the customer service I have received and the cost for the wool and shipping is fantastic. Thank you so much Hobbii ,I will continue to order with you. 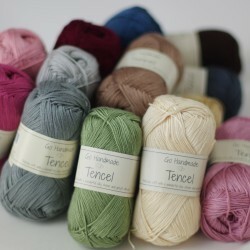 Also your colour charts are so close to the actual colour,I was worried when I placed my order but they are perfect. I’m already in love with this yarn and I’ve only just taken it out of the bag! The colours are stunning and I can’t stop touching it.... the skinfeel of this yarn tells me I’m making something for myself first and foremost; that’s the ultimate thumbs up!!! I only ordered a few balls because I wasn't sure what I would get. Now i am kicking myself. I'm going to order more in quite a few colors. It's really soft. It works up well and the finished item is beautiful. 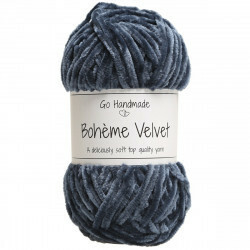 I have been looking for this yarn for a long time! As I'm allergic to wool I love using this yarn. The thickness is perfect and has lovely feel and texture. The choice of colours are very good too. Can’t wait to use this yarn!!! I’ve sewn with fabric that had Tencel in it, and loved the feel. The yarn is no disappointment! It is soft as silk and luscious in color. 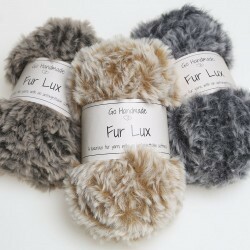 I’ve been wishing to try fur yarn for a long time and was excited to get these! The yarn is super soft and cuddly, can’t wait to crochet some toys for my little one! 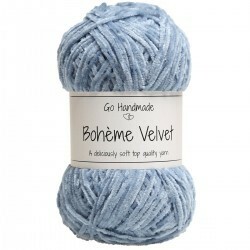 This yarn is lovely! It’s easy to work with, has beautiful drape, nice sheen, isn’t splity. The staff was a pleasure to work with. I will be back!